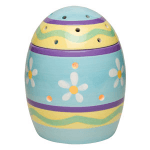 This month, give the gift of Scentsy for Easter! The Scentsy Baby Buddies or the New Scentsy Safari Buddy Collection are the perfect addition to the Easter basket! Like to decorate for Easter? You have to see the Easter Egg Scentsy Warmer! For more gift ideas, call or email me today!